Couples who file for divorce in New Jersey have the option of a no-fault or a fault-based divorce. In a no-fault divorce the parties agree that there are irreconcilable differences which simply means they lack the ability to get along any further and there’s not a chance that they will be able to work it out and get back together. Spouses seeking a no-fault divorce are not required to find fault with the other party or point to something bad which led up to the divorce. A no-fault divorce can be a simpler process and can be easier on the children who are involved. All the assets and liabilities which were accrued during the marriage must be equitably distributed between the two parties. 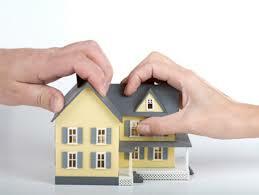 This can be assets which include things like personal possessions, retirement funds, real estate, or small businesses. Liabilities may include various debts such as car loans, mortgages, unsecured debt or any other type of debt. The distribution of both assets and liabilities must be done in a fair fashion. There are many things that can affect the distribution of assets and liabilities such as the duration of the marriage, each party’s circumstances (financial and otherwise), tax consequences that might occur, employment or any other factors which could impact the finalized distribution. Equitable distribution does not necessarily mean that everything will be divided and split up equally – but it will be done as fairly as possible. Sentimental items such as heirlooms, family photos and such can be divided by the couple if possible since it is really a matter of personal choice. However, if it cannot be done in a congenial manner, a family law attorney can assist the couple in fairly distributing these types of items. Except for the sentimental items that need to be divided, equitable distribution can many times be reduced to drawing up a financial balance sheet. From this balance sheet the marital property can either be distributed between the two parties, or it can be sold. Once it is sold the money can either go toward their common debts before distribution begins or it can be evenly distributed between the two parties. 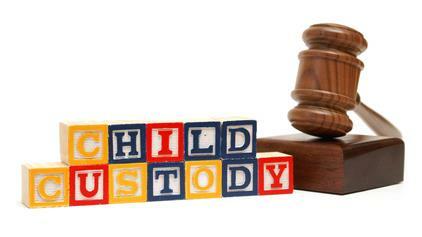 There are times when a resolution cannot be reached even with the help of a NJ family law attorney. In these cases the NJ court has established an Early Settlement Program, or ESP, to help. The Court will appoint an ESP panelist to work directly with the two family law attorneys to help bring the issues to a closing point. These panelists are Bar Association members who volunteer their time to assist couples and their attorneys at reaching a fair settlement so that a trial will not be necessary. An experienced family law attorney can assist an individual to file the divorce complaint and prepare a comprehensive settlement agreement. If it is necessary, they can go to trial with you on any issues that are disputable. It is generally much less expensive if it can be settled outside of a trial setting. Most of the time a competent family law attorney can offer assistance and help the couple reach a reasonable settlement under the difficult circumstances. After the settlement is agreed upon the NJ family law attorney will prepare the judgment of divorce as well as a Property Settlement Agreement. These are written documents which set forth the terms of both support and equitable distribution and any ongoing obligations of either of the parties after the divorce is final. After all of this has been established the parties will go before the assigned judge and the terms of their divorce will be placed on record after which the Judgment for Divorce will be granted.